March 1, 2010 Once upon a time, I spent 25+ years as a creative director at virtual agency: Copy/Concepts. Collaboration came very naturally to me, as we all divvied up our specialty areas and functioned as one global brain with seamlessness and ease. Now as a nonprofit? Not so much. The nonprofit world is new to me, with all kinds of new fiefdoms to learn, toes to step on and status quo behemoths to work around…I get impatient with the “talk but don’t do” types, or those that get gazillions in funding to study the obvious…OR worse yet, to aggregate OTHER people’s studies simply because they’re well connected or have a ‘name’ but wouldn’t know relevant new media research if it bit ’em in the backside. In short, “collaboration” in the nonprofit world is like visiting another planet. I’m getting lost in the galaxy sans guide. Enter PFTF…The Program for the Future CoLAB March 3, 2010 at the Tech Museum on Wednesday, partners some of the best and brightest minds in an “Invitation to Innovation” to fire up the global brain (you can attend virtually, too, this collab is without borders). Inspired by octogenarian superhero Doug Engelbart’s vision of collective intelligence, the Program for the Future CoLAB blends community, mind-share, futurist ‘what next’ thinking and positive energy into a mashup that pretty much falls into the “inspiring minds wanna know…” camp of troubleshooting. Think important questions+ hands-on collaboration= solutions-based outcomes. I tend to agree with Doug Engelbart’s notion that the most strategic investment to secure our future is to find better ways for us to make reasoned decisions together, to work together, to solve wicked problems together…I guess I feel like some of these nonprofit funding walls rival Berlin (er, pass me that sledgehammer, please?) and need to really put my thinking cap on. Wanna join me? I could use some youth focus in some of my media and counter-marketing tactics for outreach…Who else is going? Metaverse ‘edge-ucator’ Claudia L’Amoreaux (excellent Smithsonian interview with this key persona in Linden Lab’s Second Life)… Eileen Clegg from Visual Insight mind-mapping on markers plus her co-author of The Engelbart Hypothesis Valerie Landau…Shaping Youth’s own CTO of Red7 and Sky’s Blog (aka Dr. Jim Schuyler)…Health2.0 whiz Claudia Brenner… MIT media maven Mei Lin Fung…Dorai Thodla…Laleh Shahidi…Jeff Saperstein…Sam Hahn…just to name a few…And of course, wonder-connector of all (aka Mr. Human Glue) Bill Daul. Here’s a snapshot of what’s on tap for the agenda…From learnlets to learn logs it should be quite a day of mental floss indeed. I LOL’d at that last one (as the kids might say)…PFTF does kinda remind me of a child ‘blowing a raspberry’… PFTF! 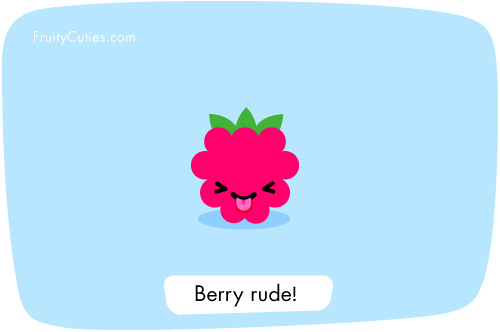 I know, “Berry Rude!” But with collective intelligence comes collective silliness and childish fun too. Heartfelt humor, humanitarian vision, personal goals resolved with some serious brainpower to lend a synapse or two. That’s all I’m looking for…No one said PhDs and brainiacs had to be stiff souls, ya know? In fact, I’m neither, so come one come all I say… Hope to see you there. What is the underlying condition that needs to change? How are you challenged in ways similar to what our governments experience? How would you define your biggest challenge/opportunity? How can we address the challenge we just identified, using collaboration, technology and other resources available to us? What is the most “out of the box” solution we can imagine? How could conditions be changed to create more effectiveness through collaboration? What collaborative technology or communication system could we develop (application, protocols) to improve our network so we can work together in a way that is transparent and innovative? Why? Our goal is to launch a collaborative community that will become an intentional neural network for global problem solving. Humanity could find innovative ways to handle our world crises (not to mention our day-to-day problems) if we all could put our heads together and our egos out of the way. 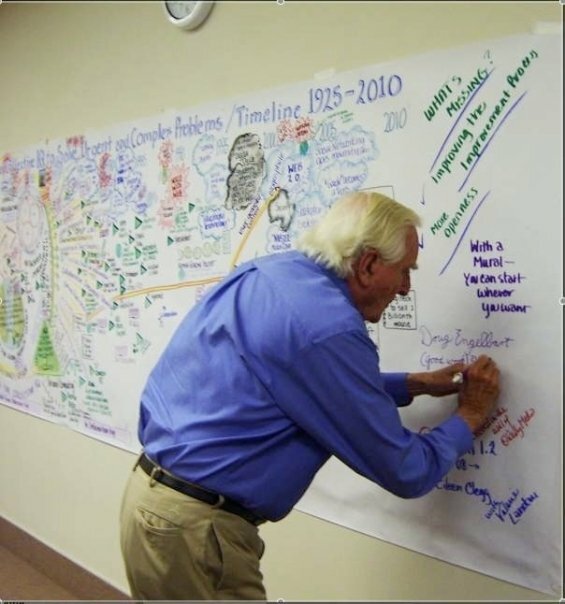 At CoLABoration 2010, we are experimenting with Doug Engelbart’s idea of “co-evolution” — by bringing together technology leaders with experts in human facilitation and representatives of many disciplines — all focused on improving collaborative techniques. Can you help us fire up the global brain? We’re asking you to help put the “lab” in collaboration by co-creating and participating in experimental techniques for this interactive hands-on event without borders. Dorai’s Learn Log: Is the Internet Making Us Smarter or Dumber? And on an upbeat note: Here’s the 20/20 Vision Stories of Change Part 3 since we’re talking about our future, collaboration, and being actionists! Here’s Ashoka’s Predictions for the Decade via my pal Andre Blackman (@mindofandre) who hosts the visionary ideation at Pulse & Signal Enjoy! Only two days until the CoLAB, and we are looking forward to sharing this grand experiment with you. Your experience will largely depend on your level of engagement. We are trying out a number of processes and technologies at the event. We also are creating an ongoing community and encourage you to plan ahead to get the most from your experience. Tell us now about your interests in this conference so other participants can find you. 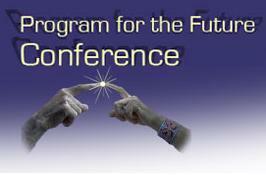 Go to http://programforthefuture.org/conference and click on the “Your Collaboration Interests” button. There you can tell us which field you work in and describe any tool or technique you would like to share. Prepare for the poster session! If you want to participate, we will have an 11″x11″ spot for you, complete with a “mailbox” for exchanging business cards and information with people. You can create your message ahead of time OR you can use markers to create it when you arrive. We will be offering a variety of online spaces to collaborate during and after the conference. You will receive email invitations to join the conference Google group, Socialtext wiki and Google wave. Please follow the instructions on these invitations. The hashtag for the conference (Twitter, Flickr, etc.) is #pftf2010. Please arrive at 8:30 AM to have plenty of time to register. Allow a few extra minutes to park and walk. Here is a map & public transit directions to The Tech Museum. If you drive, please park in the San Jose Convention Center parking garage (enter off Market or Almaden). Validate your parking ticket at The Tech Museum’s information desk and you can park there all day for $5. To share a ride, try eRideShare. The program includes breakfast coffee and snacks, a box lunch and an evening wine and hors d’oeuvres reception. Think about your biggest challenge with collaboration — we’ll all put our heads together to improve! 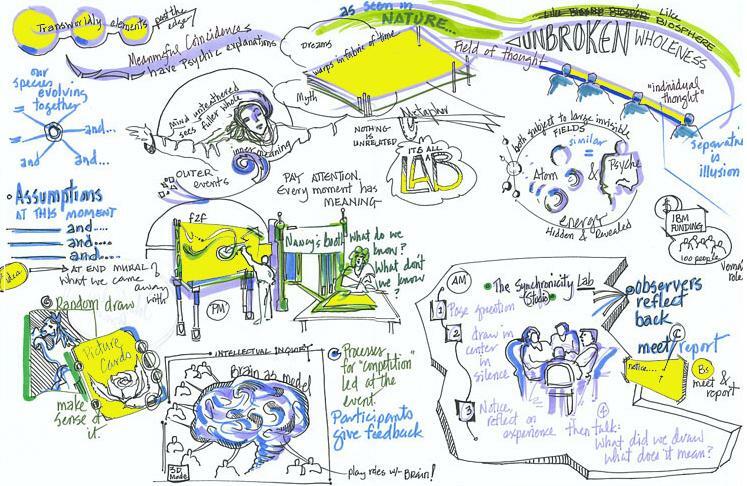 .-= Amy Jussel´s last blog ..CoLABoratory of Creativity: Program for the Future 2010 =-. .-= Jasmin´s last blog ..5 Posts to Inspire Shiny Significant Change =-. It was great to have you at PFTF!